Incumbent GOP Sen. Kelly Ayotte has conceded the New Hampshire senate election to Democrat Maggie Hassan Wednesday evening. In the end, she lost the vote by a little of a thousand votes, but declined to have a recount. The GOP lost two seats in the past 2016 elections, having had to defend many seats. Many pundits predicted the Republicans would lose control of the Senate in this past election cycle, they got that wrong too. 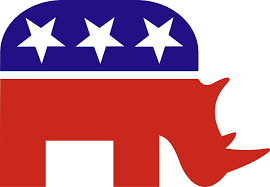 The GOP remains in control of the U.S. Senate 52-48. GOP Sen. Kelly Ayotte conceded to Democrat Maggie Hassan Wednesday evening, declining to pursue a recount in the nation’s closest Senate race and tipping a second seat to Democrats after Tuesday’s election. Hassan led Ayotte by just 1,019 votes out of more than 738,000 cast, according to the secretary of state’s official tally. The margin was well within the limits for a recount, but Ayotte conceded to Hassan a day after the polls closed. Hassan was one of Senate Democrats’ most prized recruits this year, and Democrats needed every bit of the sitting governor’s popularity to take on Ayotte, who also remained more liked than not by New Hampshire voters throughout the campaign. Both Senate nominees picked up thousands more votes than the two major-party presidential candidates did in the state. Ayotte’s defeat knocks a rising Republican star — and one of the party’s most prominent women — out of the ranks of GOP elected officials, while adding another female Democratic senator in a key state. As reported at Breitbart.com, Sarah Pain “Throws Down Gauntlet” and ’stated that U.S. Senators Marco Rubio (R-FL) and Kelly Ayotte (R-NH) should be primaried in 2016 for their support for the Senate’s Democrat lead Amnesty Immigration bill. I agree 100% and that goes for any Republican in the Senate or House that supports amnesty, breaking the rule of law and allowing individuals who entered the United States illegally more rights than law abiding Americans. Sadly, being inside the beltway in Washington, DC corrupts the best of them. Rubio and Ayotte are just two of the most recent to lose their way and forget the promises they made to get elected. I idea that Republicans would fall for the same BS bill 1986 under Ronald Reagan is simply astonishing. One that never enforced the borders, even though the bill promised to. The difference, Reagan stated it was one of the biggest mistakes he ever made, these two clowns along with other GOP Senators are embracing it as if Lucy is actually not going to pull the football out from Charlie Brown as be goes to kick it. Palin and the Conservative base are going to make examples out of the Judas’ in 2014 and 2016. “Conservatives are getting ready for the 2014 and 2016 primaries. 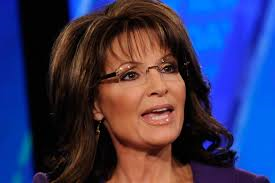 We have long memories, and there will be consequences for those who break campaign promises and vote for this amnesty bill,” Palin told Breitbart News. Sarah Palin went on to say that politicians need to be held accountible for their actions and the promises they made to get elected. Palin said Rubio had promised that “border security would come first,” and he would not support “legalization of illegal immigrants” and “amnesty” before border security. What a difference an ego makes. Boy that didn’t take long for Rubio to learn the back-stabbing, lying ways of Washington. Sarah Palin said in her interview with John Gibson, that one time I did say good things about Marco Rubio as I thought he was an honest politician. Well, we all know better now. As for Rubio, you have lost my vote forever. US Senators Kelly Ayotte (NH-R), John McCain (AZ-R) and Lindsey Graham (SC-R) met with UN Ambassador Susan Rice on Capitol Hill to discuss her misleading statements that she to the American public as she went on five Sunday morning talk shows following the Banghazi, Libya attacks and blamed them on a video tape rather than terrorism. However, instead of getting answers to the many questions as to why Rice would have mislead the public days after the attack when it was known that the attacks were a result of terrorism, Senators Ayotte, McCain and Graham were more troubled and disturbed by the answers they received than they were prior to the meeting (VIDEO). Sen Graham stated, ”The bottom line is that I’m more disturbed than I was before … about how four Americans died in Benghazi, Libya.” Senator John McCain said on Fox that he would be “very hard-pressed” to support Ms. Rice for Sec. of State. After meeting with U.N. Ambassador Susan Rice on Tuesday, three GOP lawmakers said their concerns have only grown about misleading statements Rice made concerning the attack on the U.S. Consulate in Libya that left Ambassador Christopher Stevens and three other Americans dead. Rice’s meeting with Sens. John McCain, Lindsey Graham and Kelly Ayotte on Capitol Hill came as the White House signaled it may nominate Rice to replace Hillary Rodham Clinton as secretary of State. As reported at the Politico, UN Ambassador Rice stressed in a Tuesday statement that she did not intend to mislead the public about the September 11th attacks on the Benghazi consulate. BULL!!! Sorry, but with the information that was at hand and the fact that were know, one can draw no conclusion but her intention was to misinform the American public. The interviews that Rice went on happened days after the attack, she would have known and it is unconscionable that she would not have reviewed the classified information herself rather than just parroting the Obama company talking points. So this is how the Obama administration is going to deal with a lie about the Benghazi cover up … with another lie? America, do you care that four Americans were murdered by terrorists, a presidency has attempted to cover up what occurred and no one has been held accountable?